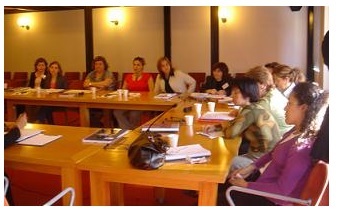 Istanbul Bilgi University Human Rights Law Reseach Center conducted the project titled Strengthening Respect for Human Rights of Women in Turkey between 2005-2011. The project is supported by Raoul Wallenberg Institute of Human Rights and Humanitarian Law (RWI) and Swedish International Development Co-operation Agency (SIDA). A series of seminars and roundtable discussion meetings were held for judges, prosecuters, lawyers and NGO representatives. The first of those seminars was held between 14-18 May 2006 with participation of Bar Association members from cities of Aegean and Mediterranean regions (Antalya, Adana, Denizli, Aydin, Mugla, Manisa, Hatay, Kahramanmaraş, Afyon, Kütahya, Uşak and Isparta).